Volvo is world renown for its environmental consciousness, recently established a corporate goal to make all of its manufacturing facilities carbon neutral by 2012. Additionally Volvo trucks have the U. S. Department of Energy Industrial Technologies Save Energy Now LEADER initiative which requires manufacturers to reduce their facilities energy intensity by 2.5% per year over a 10 year timeframe. 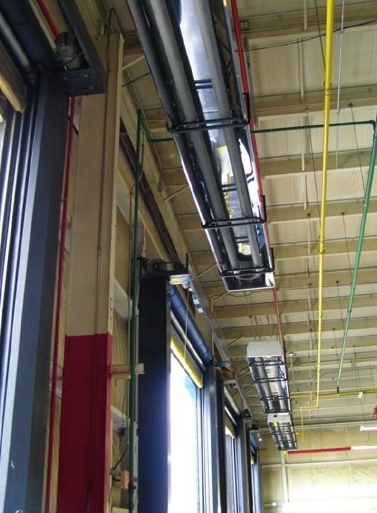 AmbiRad installed 60 High Efficiency VSX heaters in Volvo's Truck's NRV plant shipping building, replacing their warm air system. The building is an ideal choice for radiant heating with it's high ceilings and high air change, as the radiant heater have a very quick response time. Saving 61,000 therms natural gas per year. For details of this project please see the Volvo case study at the Department of Energy website. This can be a good news for everybody.